The Veteran’s Network Committee of Northern & Western Illinois invites you to come on its Fantastic 4 day, top-of-the-line Michigan tour, June 3-6, 2019, departing from Mt. Prospect, Illinois. 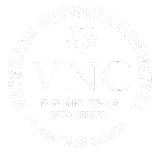 Call us at 847-533-1246 or check the VNC web site for our brochure, details, pricing and availability. Not only will you have an incredible tour for the money, but you will be supporting VNC’s Honor Flights to Washington, D.C. for Veterans. Country Inn & Suites by Radisson, #2 Best Value of 71 places to stay, Traverse City Hamilton Inn Select Beachfront Hotel, #1 Best Value, 56 places to stay, Mackinaw City Zehnder’s Splash Village Resort, Traveler’s Choice 2018 Winner in Frankenmuth, MI. Gerald Ford Presidential Museum. #4 of 57 things to do in Grand Rapids. 94%* Crossroads Village and the Huckleberry Railroad, Genesee Twp., #2 of 71 things to do in the Flint area. 97%* Bronner’s Christmas Wonderland, #1 of 23 shopping places/areas in Frankenmuth. Grand Hotel’s spectacular buffet, Mackinac Island, #13/44 restaurants on the island. Zehnder’s Restaurant, #6 of 25 restaurants in Frankenmuth and #3 of 70 destinations to visit in Frankenmuth. Ranked #1 Independent Restaurant in Michigan and #2 in Nation for Number of Guests Served in 2016. Clara’s on the River Restaurant, Battle Creek, MI. #1 of 94 restaurants in Battle Creek. Hermann’s European Café. #2 of 68 restaurants in Cadillac, MI. Fort Mackinac, Mackinac Island, #1 of 5 museums and #4 of 20 things to do on island. Ready To Go? Click here for details and Registration.